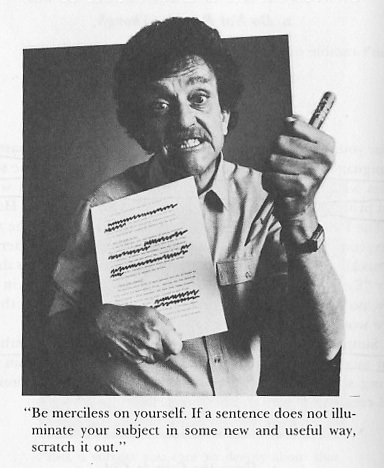 This article was shared in the BookBaby.com newsletter I got today — anyone interested in writing short stories should take a look at Kurt Vonnegut‘s tips…. Like most rules, they’re made to be broken (as Vonnegut himself pointed out). But his writing tips may be useful as a starting point, or as a measuring stick with which to judge what you’ve already written. What are your rules for writing short fiction? Do you disagree with any of Kurt Vonnegut’s advice? Let me know in the comments section below.